April 8, 2016, 2:02 p.m. Despite Facebook’s unrivaled status as a distribution platform for publishers, it hasn’t always been as effective at helping publishers make money. The latest update to its ad policy might help change that. Facebook said this morning that it will start letting verified celebrities, influencers, and publishers use their pages to post content they’ve created with brands. The new policy will let publishers post videos (including 360º and Facebook Live video), photos, or articles (Instant or otherwise) that explicitly mention or feature brands. That’s good news for the many publishers that have made branded content core to their businesses. Being able to post that branded content on Facebook means publishers can sell Facebook reach as a part of their advertising products — without fear of punishment from Facebook. “This update is something that media companies, public figures, influencers, and marketers have been asking for, as branded content is a growing and evolving part of the media landscape,” Facebook product manager Clare Rubin and VP of Partnerships Nick Grudin wrote in a blog post today. Alongside the tweak, Facebook also introduced a new tool that will let publishers tag brands in their sponsored content posts. That gives users some indication that they’re reading an ad, but it also gives brands better insight into how well their posts perform. Facebook says that publishers must use this tag for all branded content posts. The update comes with some limitations. Publishers won’t be able to post “overly promotional” content such as preroll ads or videos with watermarks. The move puts Facebook on par with YouTube, which has long been a strong platform for publishers and others looking to make money off branded campaigns. Really important week in social for publishers. From @Medium’s CMS to @facebook’s new branded content policies. Future looking more clear. Bilton, Ricardo. 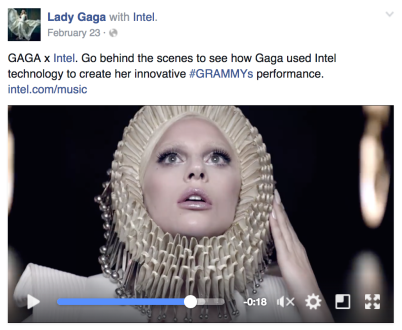 "Facebook’s new advertising policy opens the floodgates for publishers’ branded content on social." Nieman Journalism Lab. Nieman Foundation for Journalism at Harvard, 8 Apr. 2016. Web. 22 Apr. 2019. Bilton, Ricardo. "Facebook’s new advertising policy opens the floodgates for publishers’ branded content on social." Nieman Journalism Lab. Last modified April 8, 2016. Accessed April 22, 2019. https://www.niemanlab.org/2016/04/facebooks-new-advertising-policy-opens-the-floodgates-for-publishers-branded-content-on-social/.